Numerical methods for solving problems arising in heat and mass transfer, fluid mechanics, chemical reaction engineering, and molecular simulation. Topics: Numerical linear algebra, solution of nonlinear algebraic equations and ordinary differential equations, solution of partial differential equations (e.g. 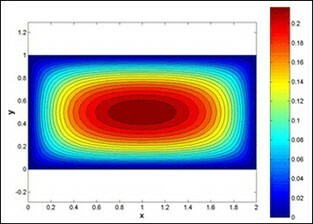 Navier-Stokes), numerical methods in molecular simulation (dynamics, geometry optimization). All methods are presented within the context of chemical engineering problems. Familiarity with structured programming is assumed.